It is well-known that well-maintained commercial building worth way more than not maintained one. It is imperative for every building owner to keep their real estate asses in good condition. Otherwise, it will be challenging to get a top dollar for the property once it is the time to sell. Property owners must invest in building maintenance by either hire a professional janitorial company or build an in-house team. There is no right or wrong way. What matters is that a property is being maintained. However, in many occasions property owners do go for hiring a third party janitorial building maintenance company. The health and safety of employees is the greatest concern of a janitorial company when cleaning commercial buildings. Maintaining a clean building means keeping germs away. As reported by Quick Response Janitorial Services, commercial building maintenance company in Houston TX, it is necessary to maintain regular cleaning routines and high standards to prevent sickness and disease from spreading. While it is secondary to disease prevention, the building’s appearance is another reason to have a cleaning routine. Carpet stains, smudged windows, and full trash cans reflect poorly on the company. Keeping an inviting atmosphere is healthy for the company and the employees. Having clean floors is very important in commercial buildings. Regardless of the floor type, people walk on them numerous times every day. Non-carpeted floors need the right cleaning machines to get the job done. Faster drying floors – Because these machines use less water and cleaning agents than a traditional mop, the floors dry faster. This also prevents accidental injury of people slipping on wet flooring. Easier cleaning – These machines allow you to either push them or ride on them. No matter which one you use, the machine does the majority of the cleaning. Cleaning efficiency – A machine delivers more cleaning power than a hand mop. It removes more dirt and germs. Regular carpet cleaning is important in a commercial building. Deep cleaning delivers a more thorough treatment because it pulls the dirt and grime that seeps deep into the carpet fibers. Over time, the dirt mixes with the natural soils of the carpet fibers and causes stains and odors. When people work in close proximity with one another, sickness will occur. Sanitizing stations and tissues should be placed around the office especially during the cold and flu season. These items need to be stocked at all times. Many places must be deodorized around the office. While bathrooms are an obvious room to take care of, don’t forget the kitchens. Refrigerators harbor a good amount of odor. Baking soda is a chemical-free agent that will keep the smell away and clean the fridge at the same time. International Janitorial Contractors Association suggests labeling all cleaning supplies and properly storing them. Organizing your supplies will allow you know where everything and develop a timely cleaning routine for your clients. Color coding your supplies can also be helpful. These are just a few areas to really focus on when cleaning commercial buildings. Clean facilities mean healthier employees and happier clients. Keeping a clean building should be a top priority. 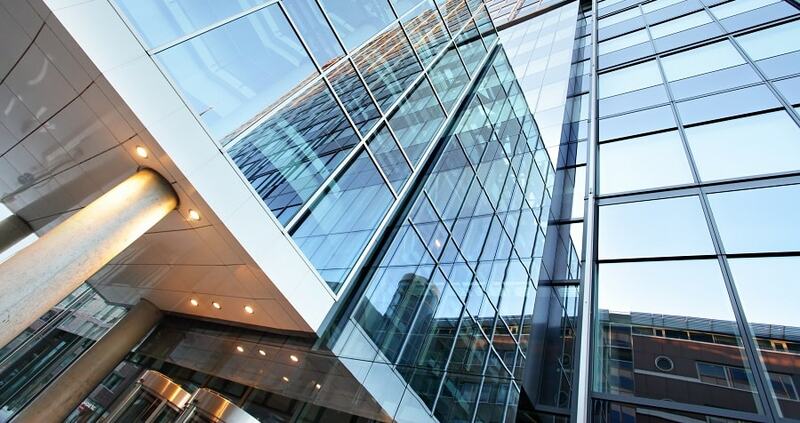 According to latest research conducted by national commercial real estate investing group Property Cashin, well-maintained buildings in the US get sold on average for 15% higher dollar amount than those buildings that haven’t been maintained properly. For every commercial property owner it is clear that this worth the investment not only from return perspective but also from tenants’ satisfaction stand point.